I was wondering what Arien was working on... one of her products she hinted at has hit... and I do mean hinted at, there was ZERO information on it. Looks like that new video card of her's is allowing her to run DS just fine... FINALLY! Just hope that DAZ extends the sale. Looking at finances I'm probably not going to be able to get much until Dec sometime.... Needed to much for the house and supplements for my health this month... ate up allot of money! At least one of the textures there would seem like it would work and I wonder if you could turn off some of the additional bits you don't need to make it fit the period nicely? IDK I cant picture exactly what everyone is wanting per say so I could be wrong but saw the third or fourth promo and thought it kinda seemed plausible in that sort of scenario. Still, I should note, I'm VERY impressed by Horse 2, and even more so by the commitment DAZ and the PA's have shown to it, with the simultaneous large-scale launch of so much content. Everybody's done an amazing job. I hope they can help! Remember to convert to true color (24-bit) before you begin painting, they are saved as GIFs (as are all of my guides) to save room and avoid artifacts. I've discovered some weird Saddle behaviour in this pose (first one I tried) - most noticeable on the Western saddle, but present on the English Saddle too. I had just done a scene last week with the MillHorse and I was going to do the second one I hadn't got around to, drinking water, with Horse2 and got this... the saddle stretches with the neck. I haven't installed the horse yet, so I can't test this, but try selecting the neck of the saddle and bending it back up - I think that will help, depending on what other bones are attached. 3Ddreamer... Using the saddle's Neck1 Bend dial will help some. I have additional 9 Blinker materials (some with new designs) and Saddle Cloths for horses No. 10 through 14 available on my website for Racehorse Tack. I'll also putting the finishing touches on the "Pixel Downs Racetrack" and will hopefully have that ready soon. I think I'll go fix dinner. Maybe by the time I get back to the computer, the promotion will be over. Then I won't have to debate the decision any longer. I really hate to bring this up, but there's a major design flaw in the Wagon Trail 1 wagon - with the front wheels the size they are, there's no way the wagon can turn. Maybe in a really big slow circle?? The UVs have been updated so the MilHorse textures won't work on this horse, whilst I can see the value in the new uv maps I'm a bit cheesed off that that MilHorse UVs wern't included as V4 ones are for Genesis, I have hundreds of my own textures for the MilHorse, one of which I was working on the day before this release. 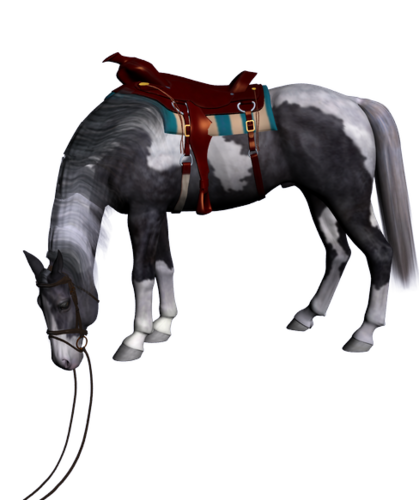 I'd pay for accurate MilHorse UVs for this horse to be able to use my own work..
...Legacy Body Shapes: Mil Horse for Horse2 & GenX? ..or a CatDog with Cat2 & Dog2. 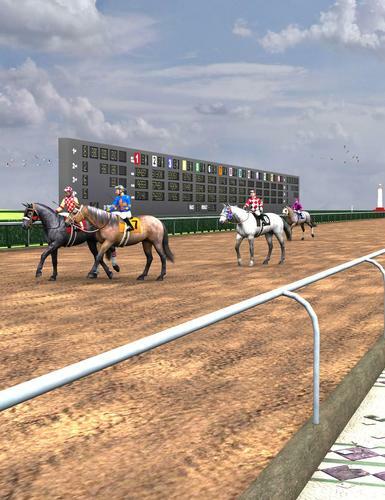 Here's just a few of CWRW's great horse textures (found in the Pro Pack), plus Sicklemar and Marieah's Jockey Silks, and of course, some of my horseracing items. I did manage to squeeze some birds into the image, too (imagine that). With this great texture set! ...so Ken, any chance we may see Tri-Ax birds in the future? Not in the near future... though I might end up using the Horse2 wings I'm working on for some of my new or existing birds. Currently, my ReMix system does pretty much what the Genesis/Tri-Ax system does without being tied to DAZ Studio (that's important because at least half of my user base are Poser users). I like to add some weight-mapping features to my birds, but I've been hesistant because I'd have to rig my birds twice once, in Tri-Ax and once with Poser Weight-mapping... ... if the DSON technology continues to improve, that might be the solution. I wish you would do a DSON birdie, Ken. I think it would work out quite nicely. I have been having situations where weight-mapping would have made the difference between "cool" and "extraordinarily cool" with Songbirds (the funny antics of ravens, for example, that require interesting bends and twists). thanks for posting the donkey morph...I really wanted to see how it looked. WooHoo! Thanks for Horse 2 (Genesis). 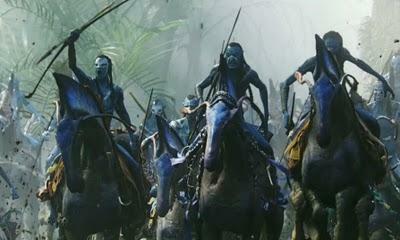 Just a suggestion(actually strong wish) how about an Avatar horse morph/addon option? Maybe by etujedi who made those wonderful four arms for genesis. Hint. Hint. OK, brain still not working right - but I remembered that the 40% for PC are running out end of this month ... sooo I bought the Pro bundle (christmas is now for me). So here are a couple previews of very much WIPs (lots more to do!) of my new DH2 Ultra coats. I am working on 8 dif ones now. Aiming to release sometime this winter. Those new textures looks stunning! I need them urgently. Thanks Ken and Richard, I'm at work just now but I'll try tonight. I did look at the bones but I think i was looking at the included morphs and not simple Bend. Love the new horse as I've stated before but I didn't get the bundle because of all the stuff I don't need. There are loads of things I miss morphing wise on the basic DH2 compared to Millhorse. It has very limited morphs so I will not be able to use it in my game project. Have to stick with the Millhorse.